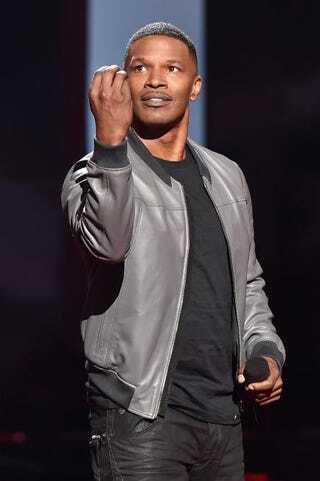 Sunday night, Jamie Foxx hosted the iHeartRadio Music Awards, but he got off on the wrong foot when he made a joke about Bruce Jenner. "We got some groundbreaking performances here too tonight," Foxx said. "We got Bruce Jenner, who will be doing some musical performances. He's doing a his-and-her duet all by himself. "I'm just busting your balls while I still can," he added. Over the last couple of months, various tabloids and gossip sites have reported about Jenner's alleged transition, but the former athlete has not uttered a word about it. Some people have called for an apology from Foxx, but as of Monday, he had not mentioned the joke. Jenner's daughter Kylie was in the audience when Foxx made his joke.